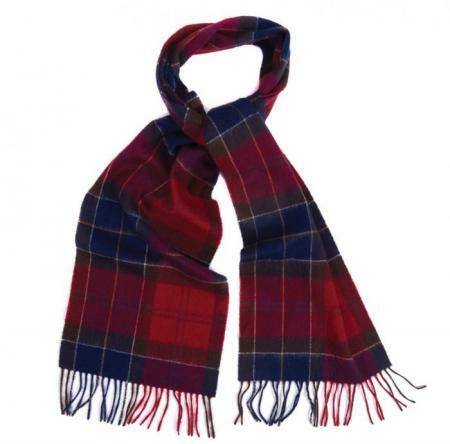 Barbour Holden Tartan Lambswool and Cashmere Scarf in 2 tartans. The Barbour Holden Scarf is made in a luxurious blend of lambswool and cashmere, this stylish scarf features a muted, tonal version of Barbour's exclusive house tartan. Finished with a traditional tasselled hem. One size: 180cm x 25cmSALE!